Do You Know Your Ethnic Mix? “Your DNA has a story. It’s time to discover it,” invites an ad on the back cover of the February 10, 2014 issue of The New Yorker. “It’s easier than ever to discover your ethnic heritage – and possibly find new cousins along the way,” the advertisement continues. Simply send in a small saliva sample, the key to revealing your DNA strands, which will unlock the secrets of your ethnic roots and disclose where your ancestors lived up to a thousand years ago. Eight generations ago, Ulrich Langenegger (1664-1757), left his birthplace in Langnau, Switzerland, because of religious persecution, and moved to the Rhine Valley in Germany and subsequently immigrated to America from Rotterdam on the good ship Hope. Henry Risser Longenecker, my Grandfather, son of Levi Longenecker, recorded in the family Bible. On my father’s maternal side some of our history is recorded on the bottom of a chair given to me in 1975. Even then it had a 150-year-old history of Martins, Brinsers, and Horsts in the lineage of my Grandmother Fannie Martin Longenecker. My mother’s story is a blend of other Pennsylvania Dutch Names: Landis, Harnish, Hernley, and Metzler. After attending the 275th Metzler reunion last June, I wrote a post entitled Another Valentine, A Different Romance, recounting the parallel history of Swiss-German Mennonites who also came to Pennsylvania at the invitation of William Penn to farm the rich soil of Lancaster County. Because of their unique heritage as plain folks, focus on Mennonite ancestry is not unusual. But interest in tracing one’s ancestry has ballooned nation-wide in the last decade. “Finding Your Roots” the immensely popular PBS series by Professor Henry Louis Gates which aired in 2012 mirrors that trend. Using both traditional research and genetics, the series traces the family roots of such disparate celebrities as Condoleezza Rice, Sanjay Gupta, Margaret Cho, Robert Downey Jr., and Rev. Rick Warren. There are some surprising intermingling of genetic roots among the stories as I recall. Thus, as our family trees expand and send out branches in many different directions, the fascination with our roots continues: Healthy roots, thriving branches, the tag of Homecoming Weekend at Eastern Mennonite University last fall, says it well. Do you know your ethnic mix? Does it matter to you? Is your story more complex because of adoption? What fascinating discoveries have you made in learning of your ancestry? Your thoughts matter to me! I look forward to hearing from you. How fortunate you are to have all this info in the family Bible and on the bottom of a chair! I write in wp so I can pass on the stories mainly to family. We too, have family names recorded. Ours are in a family book from Holland. However, although I appreciate all those names, presently I\’m mining for stories. At approximately one a week, I hope my children and the cousins will have volumes. You may be interested in reading \”The Ring\” that I posted last week. I live in TX and will be traveling to visit sister and brother in VA soon. I smile at your FL connection. I graduated from high school in Brevard County. \”Mining for stories\”–that\’s my purpose too. Beyond writing these posts as an outlet for self-expression, my fundamental motive is recording the history along with anecdotes as a legacy for the next generations. Now I\’m off to read your post \”The Ring.\” Thanks for stopping by today and being # 1 to post a comment. We\’ll be in touch! The bottom of a chair. That is a neat curiosity. Paper could be damaged more easily. On my father\’s mother\’s side, I learned our family history from a book that was long out of print. It was made for the members of the Methodist Church her family established. Her family came from England and Scotland by way of Virginia to Georgia. The war records helped from there on out (starting with the Revolution) and I have everything recorded in the family history book. My father\’s father was half Cherokee. His mother died in childbirth in NC. His father came from Ireland One my mother\’s side, everybody cam from England, they were Durhams and Stuarts and came from a long traceable (incestuous) line that included royalty. Maybe that\’s why they are so crazy. Crazy helps in the writing life. No conflict = boring story. Here is a link sent from an author friend this morning you may like to check out about the value of recording the family history: http://www.marketwatch.com/story/your-heirs-want-this-even-more-than-your-money-2013-12-16. There is lots of data to support this thesis, but I know families in which \”it\’s all about the money\”! At least, that\’s what our financial advisor says. Yes, the paper on the bottom of the chair is getting rather crumply. Thus the records saved online. Thanks again, Susan. I am glad that my daughter is interested in the heirlooms and family history. \”The Bottom of a Chair\” would make a great book title! Just think of the cool cover it would have! My parents were both born in Scotland, as was I. 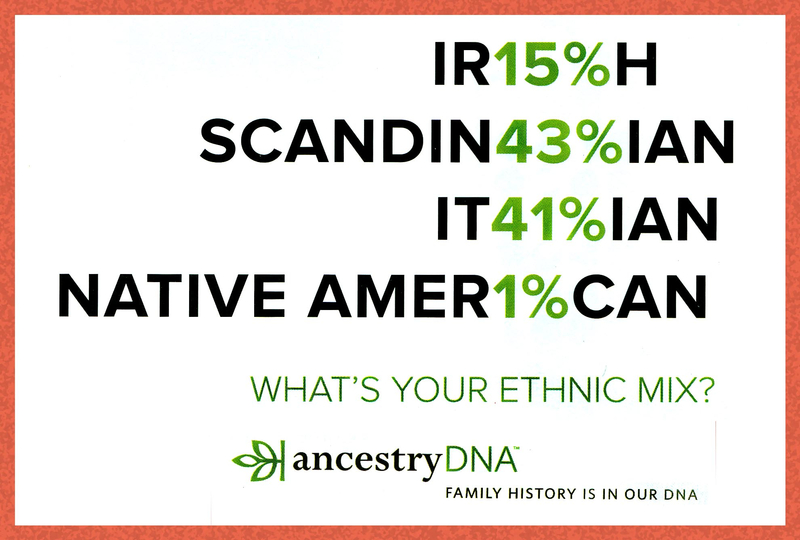 Many Scots have a dose of Scandinavian blood (Danish, Finnish, Norwegian, Swedish) coursing through our veins. Waaaaaaay back in the day, legend tells us that that the thistle became the savior of the Scots in a time when Vikings where invading land and plundering villages. During one dark and silent night, the Vikings were preparing for battle while the Scottish lay resting under a starlit sky. To approach the Scots, without raising alarm and forewarning of their arrival, they chose to take off their shoes so that they could quietly move across the land. Unfortunately, they didn\’t know that the fields were home to treacherous thistles and when the Vikings stepped on the razor-sharp thistles the tough spikes bore deep into their feet, causing the men to cry out in pain. Of course these cries of agony awoke the sleeping Scottish, who were able to fight off the advancing Vikings without much of a battle. Being saved from the Vikings by the thistles is the reason it\’s Scotland\’s national emblem. It additionally bares characteristics to the Scottish such as our toughness and not being able to uproot us from our land without a fight. I knew the thistle had a story to tell, but I never heard this particular one when we toured Scotland. See, I always learn something from you. Thanks, Laurie. \”The Bottom of a Chair\” — well, I\’ll have to think about that! What an interesting post! The photos of the names recorded in the family bible and the chair with names engraved on the bottom of the chair are treasures. I had the distinct pleasure ( a dream come true) of meeting my maternal grandfather\’s family in Italy in September. These were the first cousins of my mother, now in their 80\’s. While in the kitchen of Maria, one the of cousins, I noticed a pillow on a chair with Lake George on it. One of the American relatives had sent that over to her years ago. Lake George is 40 miles from us. That made me feel even more connected. Grandpa and his brother had come over on the boat from Naples in the early 1900s. My father\’s lineage is not as clear-cut. That would take more exploring and I fear if I started on Ancestry.com, etc. I\’d never get anything else done! Keeping family stories alive for future generations is a noble mission. Thanks for sharing. I think \”keeping family stories alive for future generations\” is at the heart of most memoir writing in addition to its therapeutic value. I know it is for me. The story of your experience in Italy is precious. How brave our ancestors were to strike out for a New World, leaving the familiar behind. Thank you for posting and including such wonderful details about your lineage, Kathy. Laurie, some of my closest ancestors are Scottish Celts who separated from Swiss Celts centuries ago! Fascinating stuff! I would imagine my DNA results would be similar to your brother\’s considering our similar backgrounds, but one never knows. \”The apple never falls far from the tree,\” said Grandma. I appreciate the detail from the testing you summarized–all the way back to Adam! The Lancaster Mennonite Historical Society is a good source for information. In fact, I have a dear friend whose daughter works there. As I get deeper into my tracings, I\’ll probably need to contact them. Thanks again for always paying such close attention. Actually, Merril, all of this started subtly collecting recipes from my Grandma Longenecker, my Aunt Ruthie, and my Mother. No telling where your travel back in time will take you. You may want to share a Russian family recipe (easy one?) sometime. We loved the spices and herbs in Ukrainian food, dill being one of their favorites. I imagine their dishes would be similar to Russian food. We thought we would be eating lots of borscht, but we had it only one time as I recall. I appreciate the encouragement along the way. Thank you! You are quite welcome. I love food traditions. I don\’t know that I actually have any Russian recipes. Probably the only thing I make that might be considered Russian is borscht, which I\’ve written about, but my version is probably far removed from whatever my great-grandmothers made there. 🙂 I will ponder. That family Bible is just lovely! My ethnic roots doesn\’t really matter to me, but I\’m sure it will matter a lot to my kids as they are adopted. Fortunately, for your kids, it\’s easier now than even to get information about their ancestry. Besides, they are probably more savvy with technology than I would be. Yes, the lettering in the Bible is lovely. Certainly, it was hand done, and I of course treasure it. Thanks for stopping by today, Fiona. One good thing about writing memoir now is that there is so much encouragement from kindred spirits not possible without blogs and social media. You are welcome, Jenn! Marian, I love your topic here and all the responses. I\’m gazing and re-gazing at the Bible. Ulrich was my grandfather 10 generations ago. Fianna 1841-1925 my great great grandmother, and the last Longanecker name in my family tree; she is buried in the cemetery of my childhood church. Her stone is the tallest one in the cemetery. See, we are related after all, Dolores. A cliche that fits perfectly here: Small world! I\’m glad you enjoyed the post and the comments too. It\’s \”nice\” to be taken seriously. Now I\’m off to check out your link. Thanks again! I\’ve never given much thought to my heritage since being Southerner is enough to carry around for a lifetime 😀 But I once housed a Japanese student for a week, and she told me that her family had a book recording their ancestry for 900 years. I couldn\’t imagine a book of that value. It\’s amazing how young our American culture is. They yea we went to Switzerland, the country was celebrating 1100 years as a nation. Be proud of that Southern heritage. You know all about some of my very cherished Southern friends from other blog posts. As always, thanks for posting, Traci! I know the names of 6 generations of women on my maternal grandmother\’s side–those old family bibles and church records from a part of Germany that was Denmark when my mother\’s ancestors came to Ohio to escape German occupation and the draft. On my father\’s side, a Dutch grandmother and a Welsh grandfather. Don\’t know what DNA would show, but this is the family story. What matters to me is knowing the women\’s names in my maternal line so far back. The DNA websites give clinical information, valuable but without the personal side. 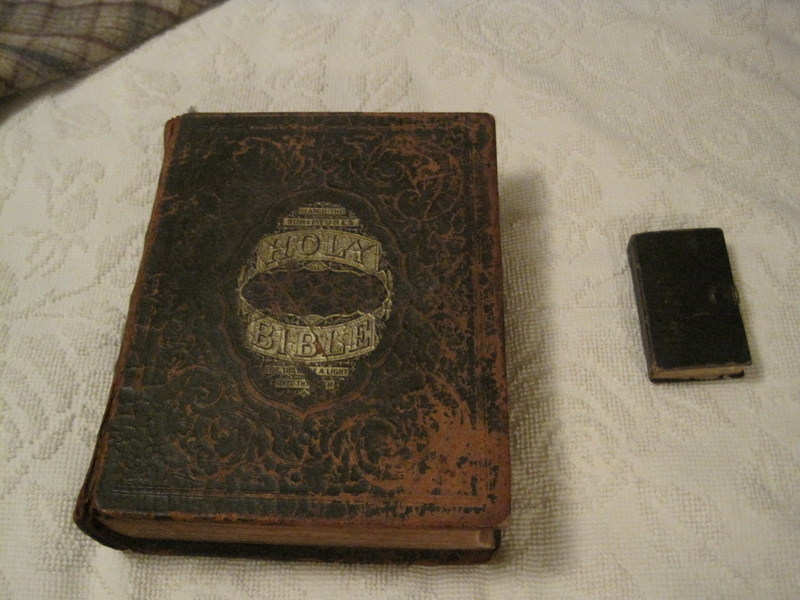 I like the way you know your family history: Bibles and church records. It gives us roots, so we can spread our wings. Yes, knowing the women\’s names is so important. In many cultures, women are incidental. Bravo to you, Elaine. I do know my roots. My German great grandparents came from South Russia to Canada 100 years ago. We celebrated with a huge family reunion that I blogged about . http://darlenefoster.wordpress.com/2011/08/30/happiness-is-seeing-your-grandson-read-your-book/ We have family history books which document family members back to the 1800s. It is interesting to note that I work for Mennonite Central Committee as an Employment Counsellor. Also my uncle married a Mennonite girl. They have 11 wonderful children, the oldest lives in Pennsylvania with her husband and 4 children. We have some things in common I see. I will enjoy reading your blog posts. There is no way we would ever meet without the internet, Darlene. I am amazed how many kindred spirits with backgrounds that align in some way to mine I am finding in the blog world. I just read your family reunion story and find other parallel experiences. which includes some more family history and how my family has been involved in the work of MCC. Thanks for stopping by. I hope we\’ll visit often on each other\’s blogs. 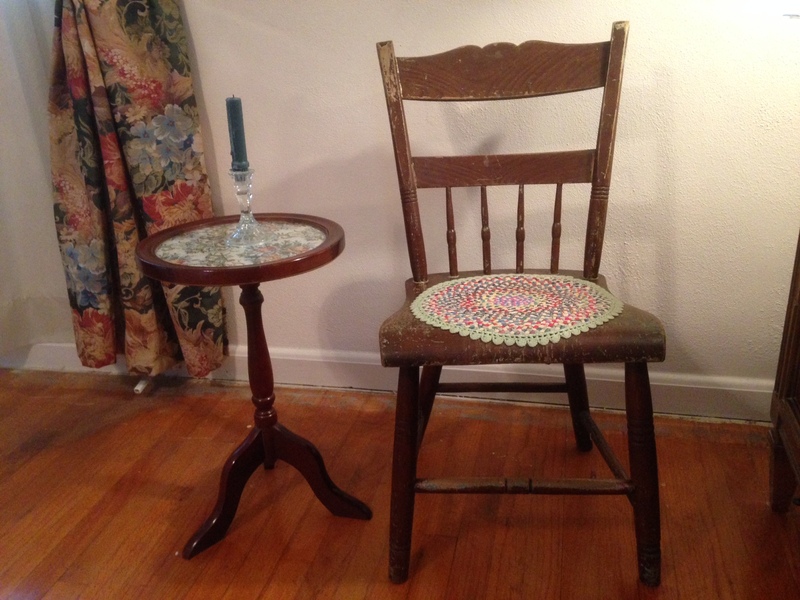 Great post and what treasures have in that family bible and chair (how innovative!). My genealogical lines are complicated due to my adoption. 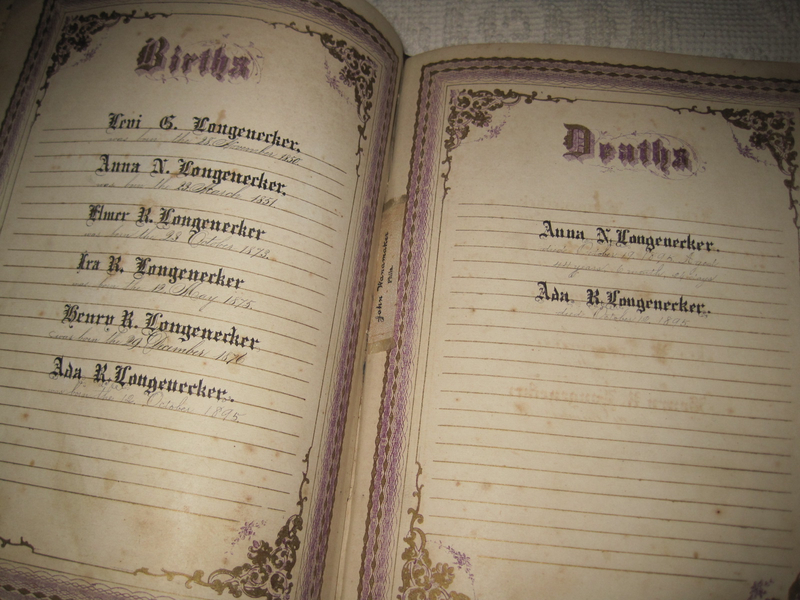 I have the family bible from my adoptive maternal grandma\’s family and was dismayed when I received it to find that my birth had not been recorded in it. I have also been blessed to reconnect with a Mennonite birth cousin who has do extensive research on our Letkeman lineage and, thanks to her, I have history dating back to the 1600s when the first Letkeman in our family left Russia. I like stories with a happy ending, especially if adoption is a factor in the mix. So you have Mennonite connections too, Linda. Thanks for stopping by to read and comment today. Thank you for telling me about your blog! I started researching my father\’s side of the family last year and got back as far as 1823 in the Ligurian region of (nw) Italy, where our family name (Gnecco) is still quite prevalent in various automotive businesses and tradesmen-type companies. I found my grandparents names on the ship\’s log when they emigrated to Boston in 1922, and seeing the tiny amount of money they claimed having with them (12 and 23 dollars, respectively) actually made me cry. Thinking of 18 yr old Carmelina and 22yo Augustus boarding a ship as newlyweds and leaving everyone behind FOREVER is more than I can even process. Such courage and faith it took! Thanks again for the blog invite! I\’ll def be following you! You are from good, strong stock, Karen. I love the story of your grandparents immigration from Italy to Boston, coming with almost nothing and now look!! I know, it is so hard to process the courage and faith of our ancestors in the face of so many odds. Thanks for stopping by. I look forward to getting better acquainted with you via our blogs. Norwegian-Irish sounds like a strong mix. No wonder you are so good at story-telling! Thanks for the comment any time, Anita.